Exhibition Flyer Competition Entries | Canberra Quilters Inc.
Today we’ll be sharing with you the entries from 4 of our wonderful members; Tracy Houston, Lisa Teasdale, Kathryn Hailey and Helen Rose. 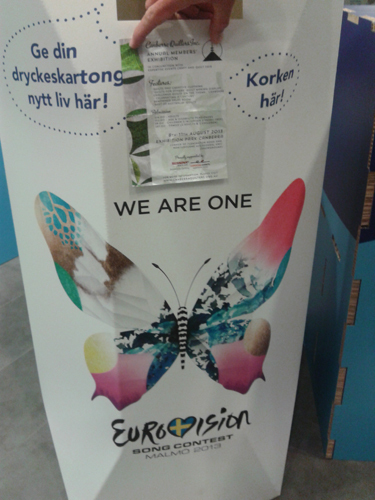 Tracy has submitted an entry for the weirdest place to see one of our Exhibition flyers; Eurovision! Eurovision was held in Malmo, Sweden. Tracy’s second photo is for the furtherest location from Canberra. It’s a sign on the Norway and Sweden border. The frozen lake in the background is Krutvatnet. 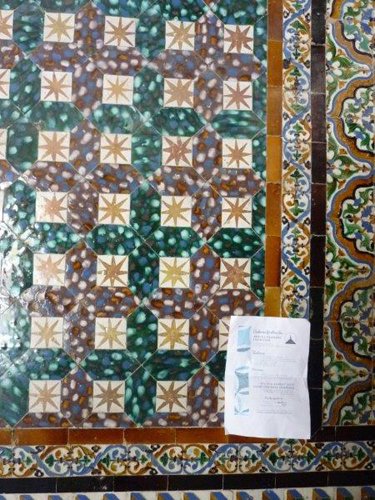 The next entries we have are from Helen Rose. 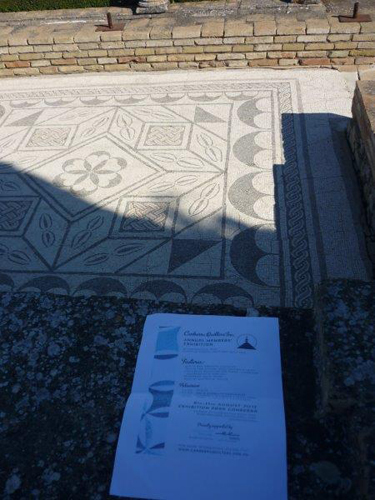 Helen sent these 2 photos from Italica, which is a Roman city that was established in Spain in about 206BC. 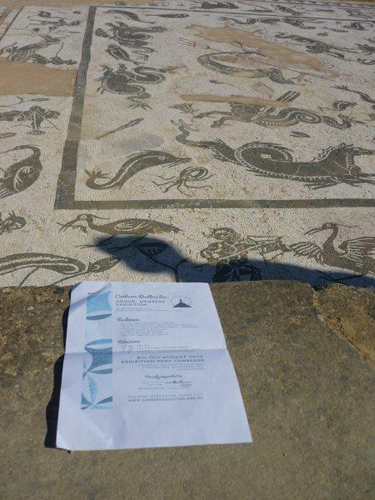 It’s the birth place of Emporers Trajan and Hadrian. 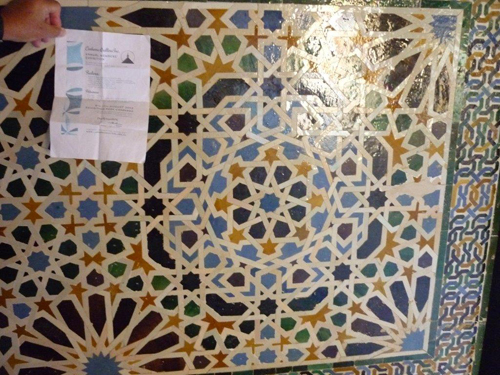 The flyer is sitting beside 2 of the many (almost) intact mosaics in the city. 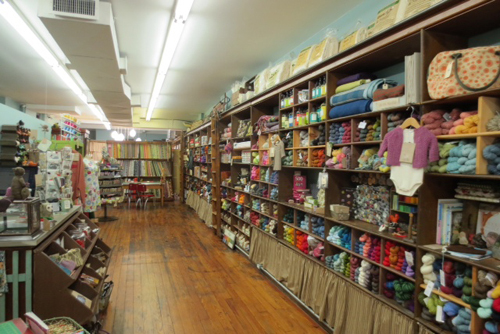 Kathryn was lucky enough to visit the New York and sent some amazing photos of a quilt store called “The Brooklyn General Store“. 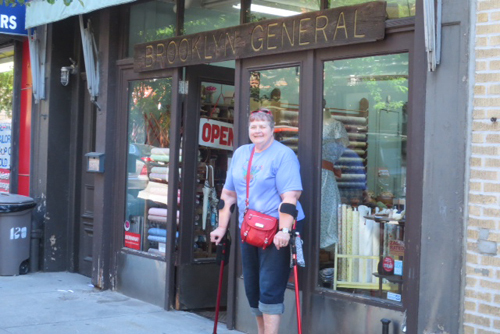 “Last week I visited a beautiful quilt shop here in Brooklyn called “The Brooklyn General Store” It was wonderful – a very old building with oak floor boards (which creaked delightfully), original fittings, etc. And the fabrics were really different. Not the usual run of things I’ve seen – lots of stuff from the fifties, and reproductions from earlier days! And not to mention the knitting wools!!! Anyway the lady who waited on me was really lovely – so I asked her if she would agree to put a Canberra Quilters flyer in the shop and she agreed and did so while I was there. Unfortunately, I wasn’t able to give her a coloured flyer but the black and white one was fine! (didn’t have access to a colour printer)! And rounding out our jet setting quilters is Lisa’s entry. While Lisa didn’t actually traverse the globe, her friend Nancy did and she was kind enough to take a Canberra Quilters flyer with her. Nancy took our flyer to Arizona, Niagara Falls and Toronto. Thank you ladies for your entries, they’re all fabulous and make me long for a holiday.